As 2016 comes to a close, we look back on a successful and eventful year. FORUM 2016 in Mobile, Alabama brought together nearly 600 commissioners, preservation staff members and volunteers for a conference filled with education, network connections and fun. We would like to thank all of our new and renewing members for your continued support of NAPC. 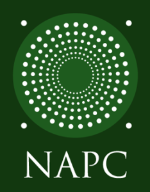 And if you are not currently a member, we encourage you to to JOIN NAPC. Your support enables us to maintain our programs and fulfill our mission as the only national organization dedicated to the work of local historic preservation commissions. There are also some exciting changes coming in 2017! Stephanie Paul will be taking on the role of Program Director at NAPC. As part of this transition, our office will be moving to Virginia Beach effective January 1. And if you ever want to stop by, our office is located at 3330 Pacific Avenue, Suite 202C in Virginia Beach. Thank you again for your hard work and tireless preservation efforts throughout the year. Wishing you a Happy Holiday and a bright New Year.